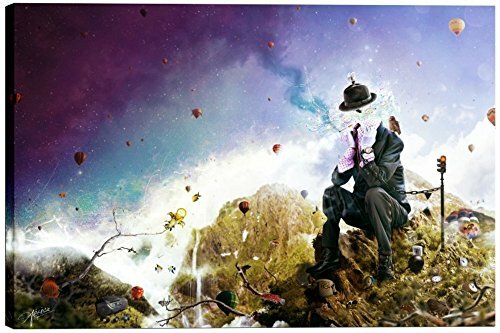 Cortesi home is proud to present "the uninspired" by Mario Sanchez Nevado. Mario Nevado delivers some of the best surreal artworks of the digital era, but it's his sensitive but caustic approach to storytelling that makes his style to be an unique emotional experience. Dimensions: 40" x 60" x 1.5"
Live Art Decor - Lion Cub Canvas Wall Art,Gallery Wrapped,Abstract Animal Picture Painting on Canvas,Wall Decor Giclee Artwork-24"x 36"